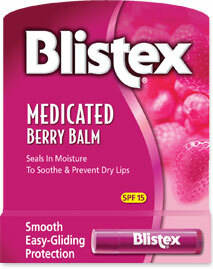 Cold Sores & Fever Blisters | Blistex, Inc.
What Causes Cold Sores and Fever Blisters? 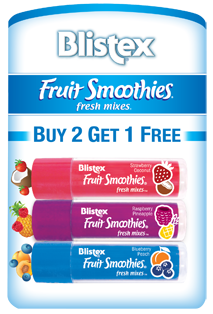 Both "cold sore" and "fever blister" refer to the lip blisters caused by infections of the Herpes Simplex I virus (not to be confused with Herpes Simplex II, which is generally associated with genital herpes). 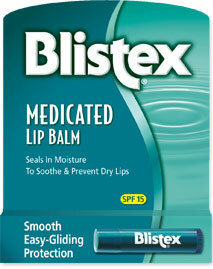 Cold Sores are viral infections which cause recurrent groups of irritating, even painful blisters on the lips. The Herpes Simplex I virus affects more than half of the adult population, and over 50 million people in the US experience at least one cold sore outbreak per year. It is second only to the common cold in frequency. Once a person contracts the virus, it may exist in a latent or dormant state throughout his or her lifetime. After a cold sore first appears, it has a tendency to recur frequently in the same spot. 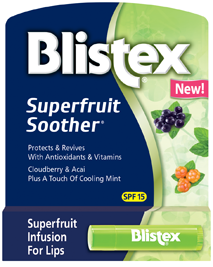 These blisters have become known as cold sores or fever blisters since they can develop when a person has a cold or fever. But outbreaks frequently follow sun exposure, trauma, examination stress, emotional discomfort, the start of menstruation or intestinal upset--occasionally, they have no obvious cause at all. A cold sore sufferer usually feels a sensation of heat, tingling, irritation or itching about 24 hours before a blister appears. 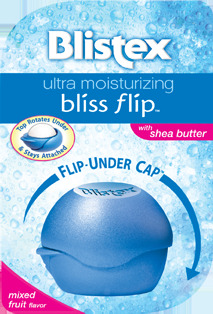 The fluid-filled blister frequently breaks in the first few days, while total healing usually takes 4-10 days. Cold sores are contagious, so care should be taken to avoid contact with this area. Touching the infected area may result in infection elsewhere, and the virus can be passed to others. Very few sufferers realize that simple preventive measures can minimize the impact of these irritating afflictions. Cold sores and fever blisters tend to develop when an individual has a cold or fever but can also be triggered by sun exposure, emotional distress, intestinal illness and menstruation. These blisters can recur in the same spot or in different locations with a frequency ranging from weekly to yearly--some people infected with the virus never develop blisters. A sore or blister will typically take a few days to break. It will be contagious to others as long as it is visible and occasionally even beyond. 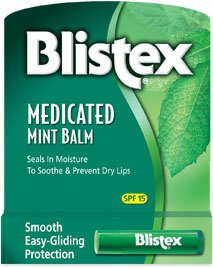 Eliminating all of the sources that can contribute to the onset of cold sores and fever blisters is impossible. 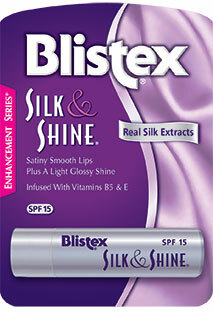 But sufferers can prepare their lips to be more resistant to these outbreaks. The arrival of a cold sore or fever blister is always unwelcome, but an alert sufferer can sometimes detect warning signs. 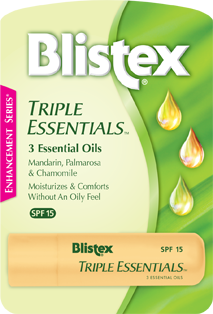 Itching, tingling and a heat sensation usually mark the spot where a sore or blister will appear within 24 hours. 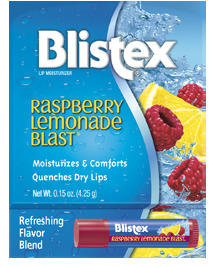 As soon as these signs are detected, Blistex recommends massaging a medicated lip care product, such as Blistex Medicated Lip Ointment, gently into the affected area up to four times daily. The penetrating analgesic provides quick, effective relief and Ointment's moisturizing properties soften the area to help prevent cracking. 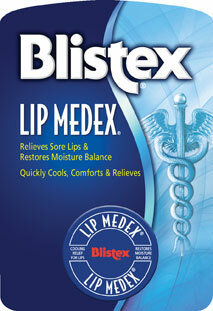 Blistex Lip Medex is another option for those who prefer an ultra-cooling effect. 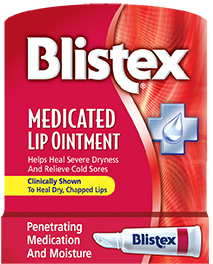 Very dry lips, no matter the season, are more prone to outbreaks of cold sores and fever blisters, according to Dr. Charles Zugerman, associate professor of clinical dermatology at Northwestern University Medical School. "Lips that are very dry can crack, causing fissures that can easily become infected with viruses such as herpes simplex or with bacteria," said Zugerman. 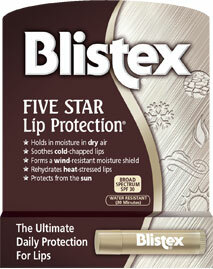 "Proper conditioning keeps lips from cracking and also shields lips from the sun's propensity to trigger cold sores." 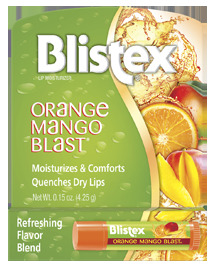 Zugerman recommends conditioning products, such as Blistex DCT (Daily Conditioning Treatment for Lips) with vitamins A and E and SPF 20, to keep lips from cracking and shield them from harmful UVA and UVB rays. 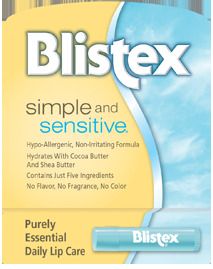 In addition to DCT, Blistex offers a number of products that will condition lips and protect them from the external stressors that can trigger an outbreak. 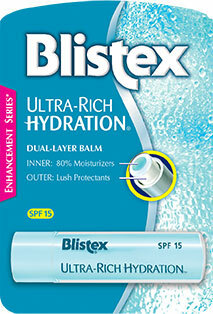 See All Blistex Products. According to a 2007 survey by the American Psychological Association about stress and its effects, Americans appear to be under more stress than in the past. Nearly half of respondents reported being under more stress than they were five years ago. Work, finances, kids and too little time were the top contributors to feelings of stress. According to Dr. Charles Zugerman, associate professor of clinical dermatology at Northwestern University Medical School, stress is one of the primary triggers of cold sore outbreaks. "When stress, or any other factor compromises a person's immune system, the virus travels from the nerve roots up to the skin area, causing lesions to form," says Zugerman. 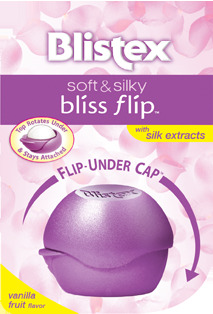 Taking steps to reduce personal stress levels is another way to decrease the likelihood of cold sore development. A stress-relieving program can include a massage, yoga, meditation, aromatherapy or anything that is personally relaxing. In addition, regular exercise and a healthy diet can reduce stress and help maintain a strong immune system. Additionally, "cold sore sufferers should avoid unnecessary exposure to the sun and wind, and should not aggravate a sore by touching it," said Zugerman. 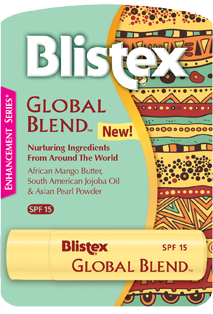 "If cold sores or fever blisters become frequent or severe, you should consult a physician."